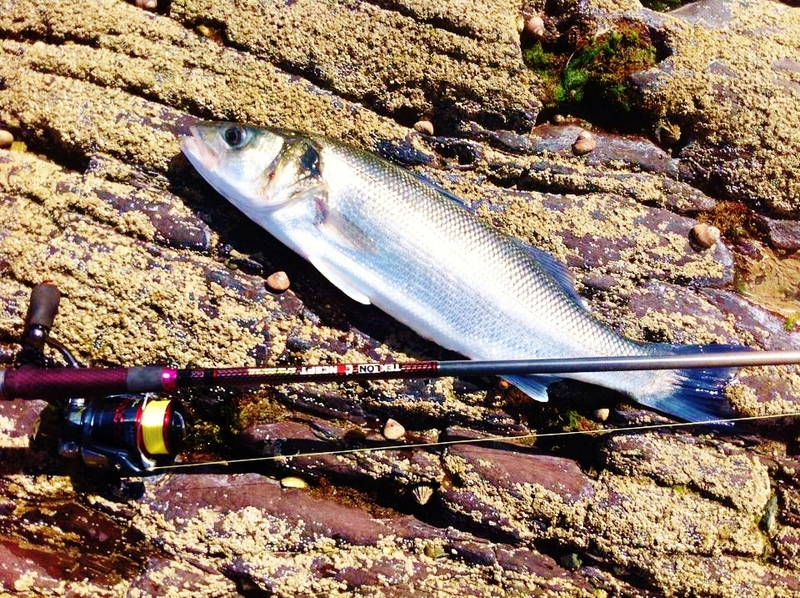 Bass lure anglers know that when you get a bit of fizz in the water a lot of good rock marks tend to produce fish. Today was the first day in a while where the water seemed to have the little bit of life to it and I was feeling confident of some bass. That fizz we were waiting for! I was joined on a short lure fishing session by Ian who is new to some of the lure techniques I have been using but was keen to learn. 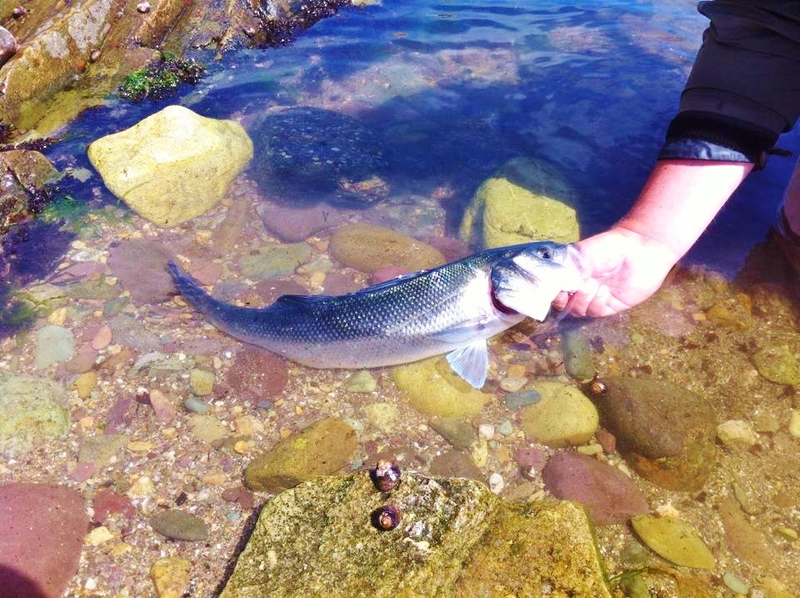 I had landed three nice bass of around 60cm when Ian arrived at the mark. However, it didn’t take him long to get in on the action and he picked up on the methods very quickly. 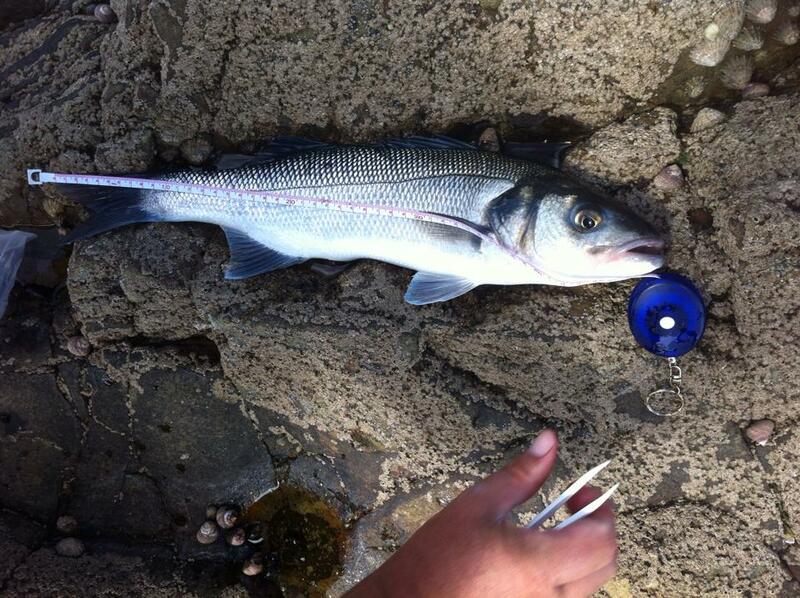 We had quite a few takes and landed some lovely fish in in the 55cm to 60cm range. Remember to practice catch and release on these slow growing fish and you could also consider taking part in Inland Fisheries Ireland scale sampling project. 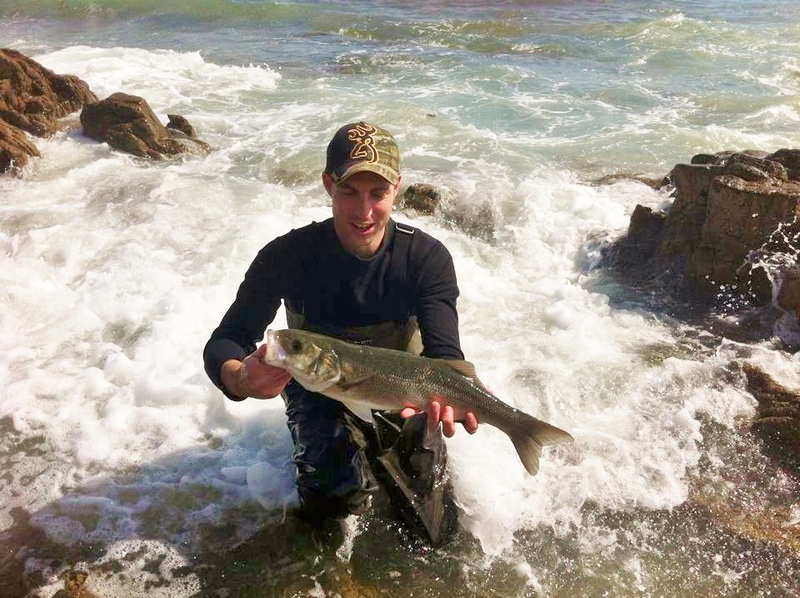 This entry was posted in Uncategorized and tagged bass lure fishing, Copper Coast, County Waterford, Dungarvan, Fishing, fly fishing ireland, irish fly fishing, sea bass, soft plastics, Waterford bass by gamefishingireland. Bookmark the permalink.